Bonnie Doon currently has reduced joining fees and annual subscriptions for prospective members under the age of 40. If you have any questions regarding membership including the relevant joining fees payable, the process of becoming a member or to obtain an application form, please contact Membership by filling out the enquiry form below. Great golf experiences – a challenging golf course with a full length driving range, 80m short game area and practice putting greens. Convenient location – close to the Eastern suburbs, the city and Sydney’s international airport. 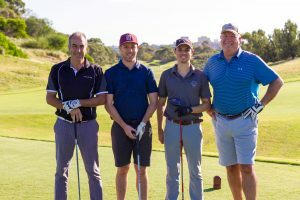 364 days of golf per year – located on Sydney’s sandbelt, Bonnie Doon is one of the best drying golf courses in Australia. Financially secure – Join a club which is financially secure and able to improve its facilities for members to enjoy into the future. It is an exciting time to be a member at Bonnie Doon Golf Club. Check out our redesign page detailing the work that Ogilvy Clayton Golf Design have completed and take a look at the Master Plan below.